Looking for something new to do as a couples date night in Bozeman, MT? How about a little fitness and then a healthy cooking class to share together or with another couple of friends? Reserve your spot today below or contact us about another special night. "My husband and I had so much fun working out together! And the food was high end restaurant style. It was so good." 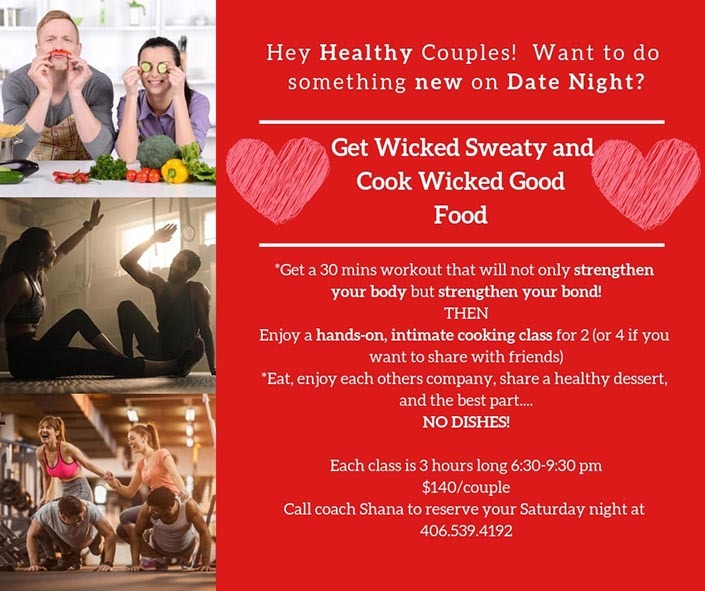 "The date night workout and cooking class is a fun and healthy way to spend some quality time with your significant other. Lots of laughing and friendly competition during the workout. It was a new and enjoyable way to spend time together. Loved it!"